I recently viewed an episode of Dr. Oz in which he encouraged his viewers to add tart cherry juice to their daily diets. 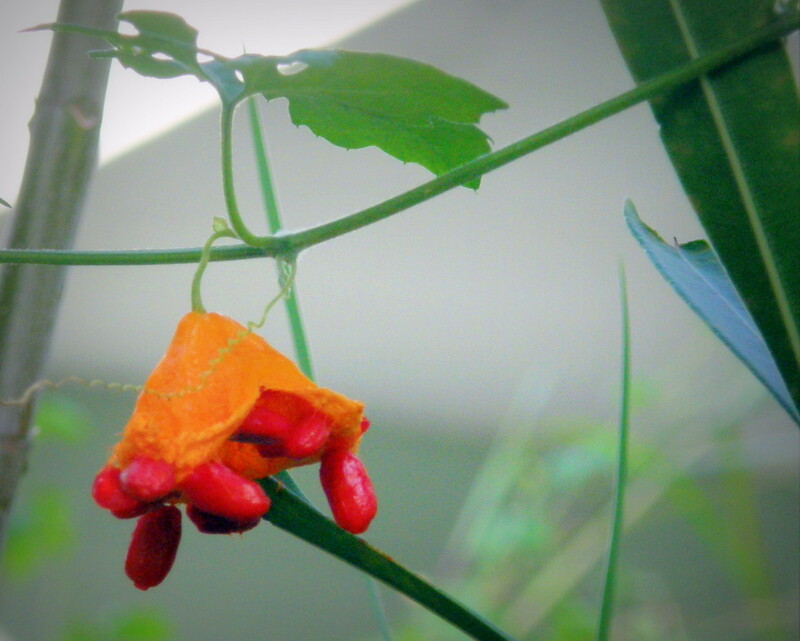 Aside from promoting it as a great antioxidant, he also encouraged its use for combating cases of insomnia. My ears perked up. I have literally struggled with insomnia for years. I quickly Googled for more information, became impressed, and bought myself a bottle of the deep red juice from my local health food store. It wasn’t cheap—$6 for a quart. I gave it a try. Not only was the juice tasty, but it also actually helped me with my insomnia. All I needed was about half of a cup before bed to reap the benefits of a full night’s slumber. I was not only sleeping better; I also began to experience a sense of well-being. Of course, that may have been due to the much-needed rest, but it was certainly a perk that I welcomed. I actually felt as if my body clock was adjusting. I was sold on it, and have since promoted it and continued my research. I must say, I have been impressed to find many reasons to continue drinking tart cherry juice, and I believe you will agree. In a pilot study published in the Journal of Medicinal Food, scientists from the University of Pennsylvania, University of Rochester, and V.A. Center of Canandaigua tested the effects of tart cherry juice on older adults. Participants reported significant reductions in insomnia severity. 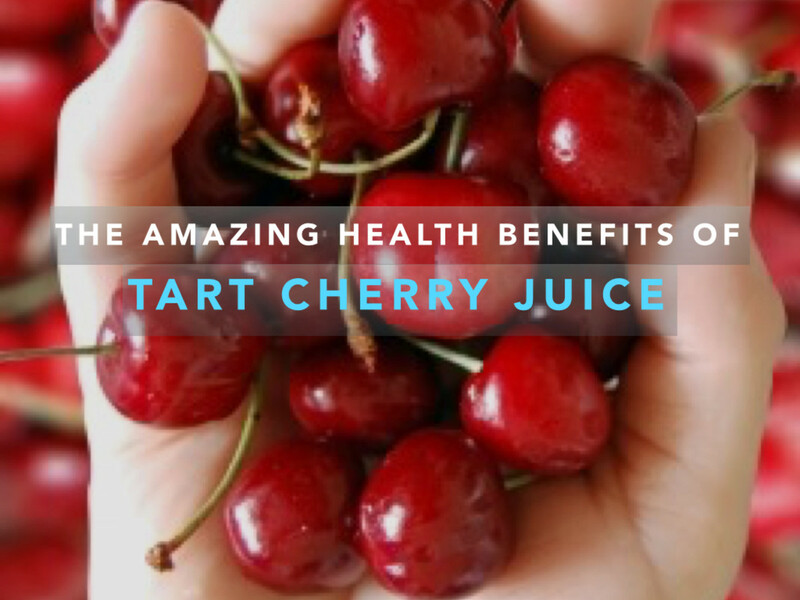 Importantly, the study showed the tart cherry juice not only helped those that struggle with falling asleep, but also helped those who struggle with staying asleep. This is the particular type of insomnia I struggle from. I can fall asleep, but staying asleep is the issue. Researchers noted that the juice’s natural sleep-enhancing benefit is likely the result of a naturally high concentration of melatonin. Melatonin has been shown in previous research to help induce sleepiness at night and wakefulness during the day. Basically, melatonin stabilizes our body clock and sleep patterns. As for me, I’m a believer. This study supported why I felt as if my body clock was adjusting when I began drinking the juice. I was pleased to learn of this benefit. The University of Michigan research group published findings of metabolic support in tart cherries in the Journal of Medicinal Food. This study suggests tart cherries may help to control weight and to prevent metabolic syndrome. Symptoms of metabolic syndrome include high blood pressure and high cholesterol, which ups the risk for type 2 diabetes and heart disease. Now, before you run off and drink a jug full of tart cherry juice as a weight-loss technique, be forewarned that it is high in sugar. And sugar equals calories, lots of them. Moderation is key. 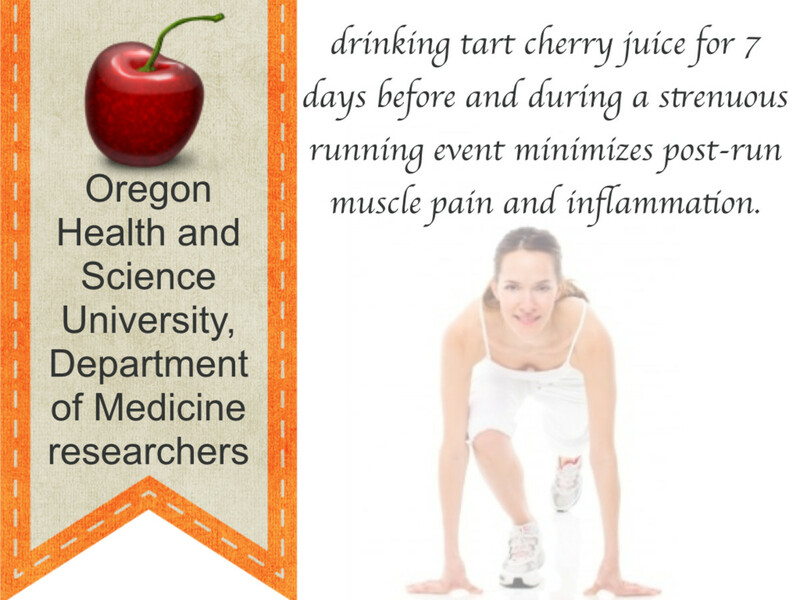 Oregon Health and Science University, Department of Medicine researchers have reported that drinking tart cherry juice for seven days before and during a strenuous running event minimizes post-run muscle pain and potentially inflammation. The study below helps support the post-run muscle pain and inflammation study. A team of researchers discovered that tart cherry juice could improve and minimize exercise-induced muscle damage. It was noted that strength loss and pain were significantly less in the cherry juice trial versus the placebo group. Impressively, participants who drank the cherry juice lost only four percent of muscle strength over four days of exercise, but placebo participants lost 22 percent. This is great news for athletes that challenge their muscles to the fullest extent. Not only is muscle damage decreased, strength is sustained for a longer period. What athlete wouldn’t want that? According to the University of Maryland Medical Center, antioxidant-rich tart cherry juice and tart cherries "lower uric acid and prevent attacks." Note: This claim was cited in another article I had read, but I have been unable to find the specific amount consumed by the gout patients in this study. I’ll update this section when found. I did find the study, but was unable to access the specific details. 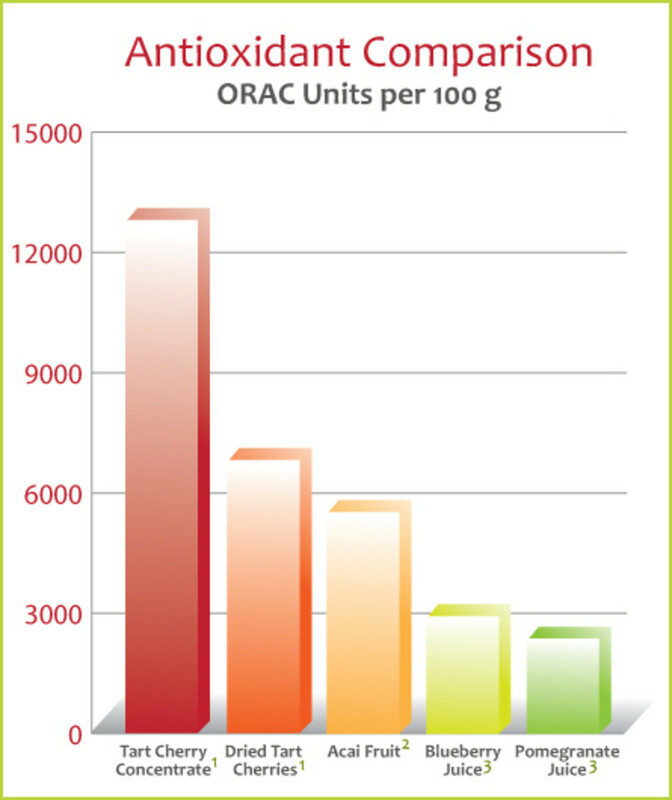 ORAC value is a method of measuring the antioxidant capacity of different foods and supplements. According to the free-radical theory of aging, this will slow the oxidative processes and free radical damage that can contribute to age-related degeneration and disease. Needless to say, tart cherry juice is rich in various vitamins, minerals, and antioxidants. Although it does not contain fat or cholesterol, it is high in carbohydrates. Cherry juice contains vitamins A and C and potassium. Studies have shown that consuming foods rich in vitamins A and C improved immune system response, wound healing, and vision in low light conditions. Other studies show consuming foods rich in potassium may help lower blood pressure as well as decrease the risk of kidney stones. However, some diets have restrictions on high potassium, and tart cherry juice has quite a bit of potassium. You and your doctor would know best. The naturally occurring antioxidant known as anthocyanins is found in many red, purple, and blue-colored fruits and vegetables. Obviously, this is one particular antioxidant found in tart cherry juice. It is important to note that diets rich in antioxidants have been linked with reduced cases of cancer and a decreased risk of cardiovascular disease. In addition, tart cherries also contain flavones, which lower blood pressure and improve blood flow and heart and brain health. Tart cherry juice is high in simple carbohydrates (high glycemic/sugar). If you are diabetic or limiting your sugar consumption, read the food label to determine whether this juice is an option. Tart cherry juice is in fact tart, so dilution may be your answer. Perhaps half a serving diluted in water may be a safe option. It will lighten the taste as well as the sugar consumption. Also, some patients are on a low potassium diet due to kidney health or other diagnosis. Tart cherry juice is very high in potassium and may not be for you. Check with your doctor or nutritionist to be sure that tart cherry juice is safe for your particular diet. So in Answering My Initial Question, Is It a Cure-all? I'd have to say, I found quite a few facts supporting the benefits of tart cherry juice. 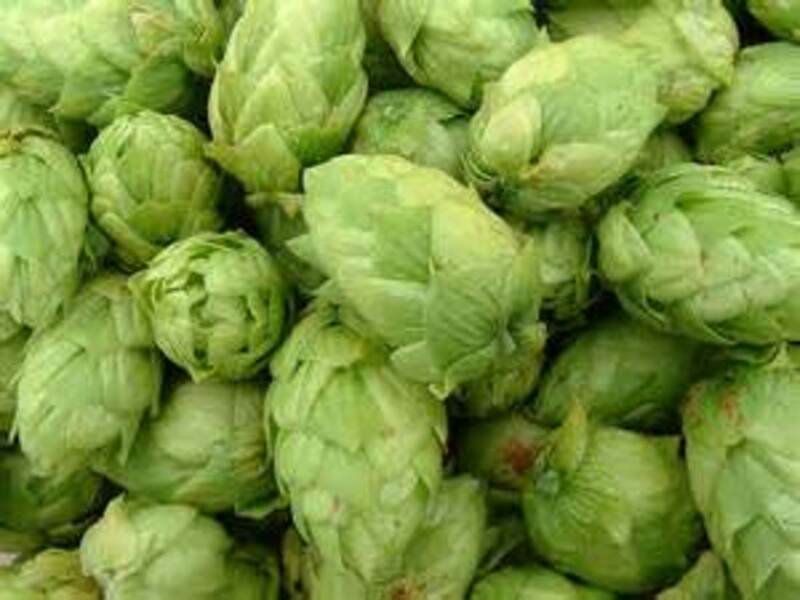 It is definitely rich in vitamins, minerals, and antioxidants. 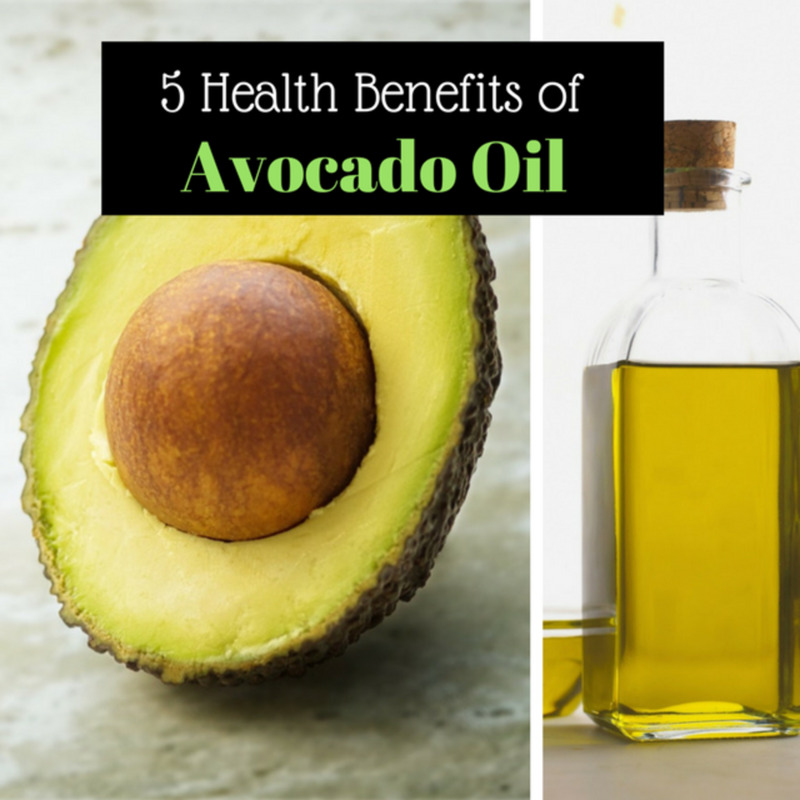 Studies are showing incredible benefits in nutrition, muscle health, and cellular armor against various cardiovascular diseases and cancers. Why not sleep better, feel better, and live better? Pour yourself a glass of tart cherry juice and celebrate a healthier life. Great article !!! I believe every word !!! for my rheumatoid arthritis knee and hip pain. Taking about a half a cup of tart cherry every day has really helped. No more pain and inflammation. I can work my 8 hour shift at the Grocery store pretty much pain free. I have to say, I'm glad I came across your hub. I have been a fan of Tart cherry juice for the past year. I do have a question regarding concentrate vs not from concentrate. Is one better than the other? And would you happen to know what the difference in ORAC (oxygen Radical absorbance capacity) might be between the two in units. Brakel2: thank you very much for your supportive comment, I'm thrilled your granddaughter has also reaped the benefits. Margie, dilution is a suggestion for diabetics (sugar content) and for adjusting the tartness of the juice. AveneshP, how right you are! Judy, I'm glad you are feeling better, sorry to hear it didn't help with the insomnia. The fact you are pain free is a great benefit in itself. Thank you for sharing. Audrey, hi sweetie! I certainly hope you are feeling much better! It makes me very happy to see you have stopped by for another read. Your comments are always so supportive and I greatly appreciate it. it hasn't helped with my insomnia but I do feel better over all. I add sprite to mine for a sparling cocktail like drink. its delicious. Not many people are aware of Tart Cherry Juice. This juice can prove beneficial in reducing muscle pain, anti-imflammatory, sleep aid, and offers improved health. Was wondering why its so important to dilute the concentrated cherry juice. I figured the stronger the drink, the better the results on helping with arthritis. Hi Miss Olive Your article about cherry juice is well written and well researched. I never knew about tart cherry juice until I read Prevention Magazine. After that my husband and I started eating cherries and found great enjoyment in the fruit. We ate sweet cherries, as we could not find tart cherries. After that I ordered the juice and truly enjoy its benefits. My 21 year old granddaughter grabbed one from the fridge and loved it. 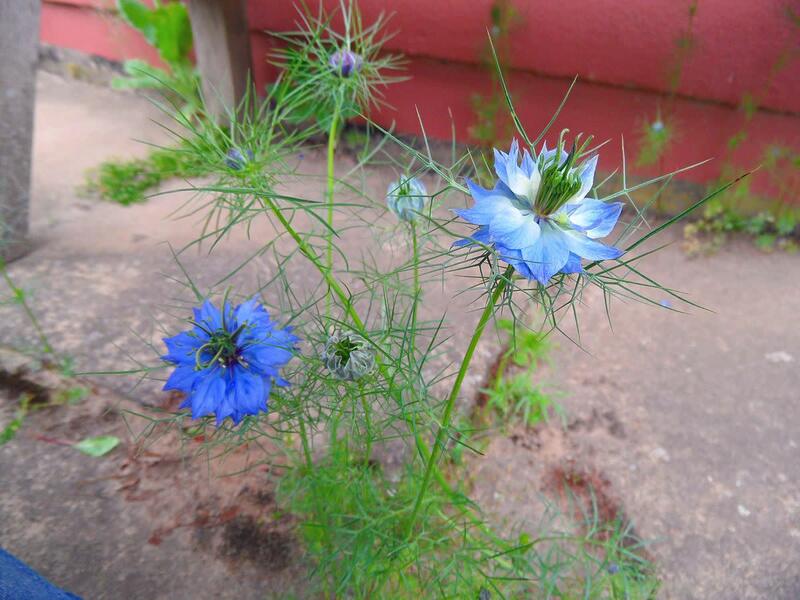 Thank you for sharing your article, your resources and photos. You do resource for your articles, and it makes them so credible. 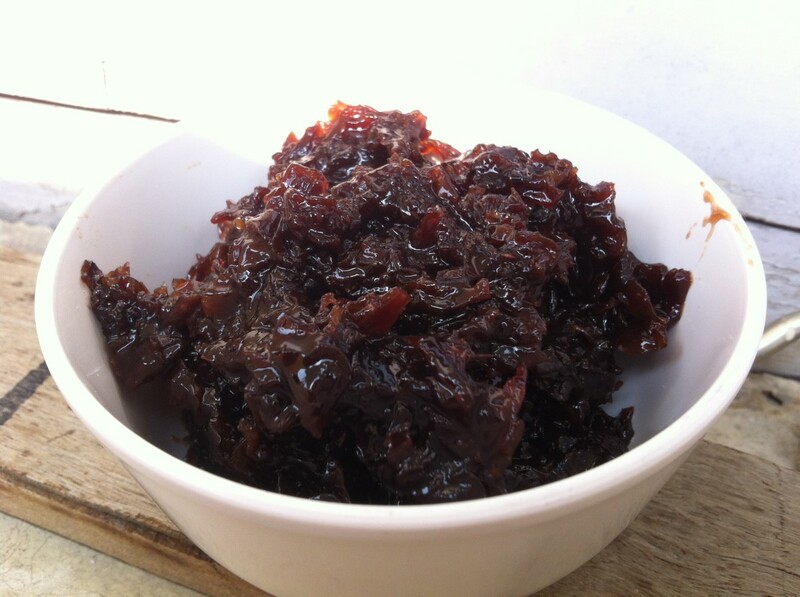 Margo, that is wonderful to hear you have been inspired to give tart cherry juice a try. This comment thread has been a great source for testimonies. I do hope you come back and let us know how tart cherry juice has benefited you. Best wishes to you and thank you for stopping by to read, share and comment. Watched Dr. Oz on Thursday, 05-30-13 and was glad to learn the benefits of drinking tart cherry juice. But more importantly to hear the results from others who had tried this juice. So tomorrow I will be making a trip to Traders Joe to get a bottle. Thanks to all of you for allowing others to read your testimonies! vandynegl, thank you! I'm not so sure this would be a good mix with veggie juice, I would opt for a fruit juice mixture myself. I do hope you give it a try, I am confidant you will feel a difference in your well being. vertualit, thank you for reading and commenting. I am so sorry to hear this product is not available in your country, I hope you get some available soon. Kelly Lee, yes, I make sure and shake up my bottle before pouring tart cherry juice. It almost reminds me of the 'mother' found in apple cider vinegar. Perhaps you should try another brand? Shake it very well and maybe dilute with a bit of water. Good luck to you. Glendale, what a wonderful testimony! Thank you so much for sharing that with us, I'm so glad for you and honored. Super information! I have yet to try direct cherry juice....I would be curious to know what it tastes like with my homemade vege juices! Thank you for sharing this! One trait I have noticed from cherry juice concentrate is the sediment in the bottle. I just can't drink it with the settling at the bottom of the bottle. It's like crystalized sugar or something. Bought a bottle from the local store and had to break up the sediment with a butterknife before I was able to make a glass of the juice. I started Cherry Tart Juice for a week now after I saw this site...I was having difficult sleeping for 3 weeks my blood pressure is so high 154/106 and because I was so worried not sleeping so my anxiety gets worst and thinking that I have all this illness that can kill me...I went to the doctor , my doctor prescribe me metropolol for my b/p and ANXIETY MEDICINE...I took this medicine for 4 days but still cant sleep...I get up at night praying that God will help me and guide me because I was not able to sleep for 3 weeks...Went online and I came across this site and find out about Cherry Tart Juice and all the good testimonies next day I went to the Health store and buy Cherry Tart Juice and start drinking and not taking my medication...Its been a week now without any medication I sleep good at night my B/P is 120/70 anxiety is gone and I feel like a new person....Thank you very much for your very helpful information...God Bless. Pat, I'm thrilled to hear this worked for you. Thanks for the testimony. Just tried tart cherry juice for sleep problems and it works ! I use to wake up every hour on the hour, the last three nights went to bed at 10pm woke up for the first time at 6am amazing have not done that in many many years! jponiato, it sure helped me. Glad you came by, thanks. Nice to know, as I do have bouts of insomnia. vocalcoach, I apologize for my delayed response. I do hope you have been able to give tart cherry juice a try. Thank you so much for your lovely comment. I appreciate you. molometer, Thank you so much Michael. Yes, this particular juice is not your standard blend of overly sweetened juice and water. Thank you for sharing this hub. Nice to see you. Excellent hub on the health benefits of tart cherry juice. I like your formatting and the photo wrapping. Sometimes it is hard to find just good quality juices like these. The store shelves in most supermarkets are just full of juice drinks from 'concentrate'. Not so good. We need Trader Joe's over here too. I'm off to Trader Joe's for a bottle of Tart Cherrie Juice. Your article has made me realize how much I need to add this to my daily diet. With aches and pains, low energy and insomnia I may have found just what I body needs. Thank you so much missolive. Up, across (not funny) and sharing. davenmidtown, hey there! That sounds like a great idea. I should look into your Hub suggestion. I'm thrilled you enjoyed this Hub and my writing style. JayeWisdom, it looks like we drink the same brand. Knudson's is what I buy at my local whole foods store. It is DEFINITELY tart. Sometimes I dilute it myself. 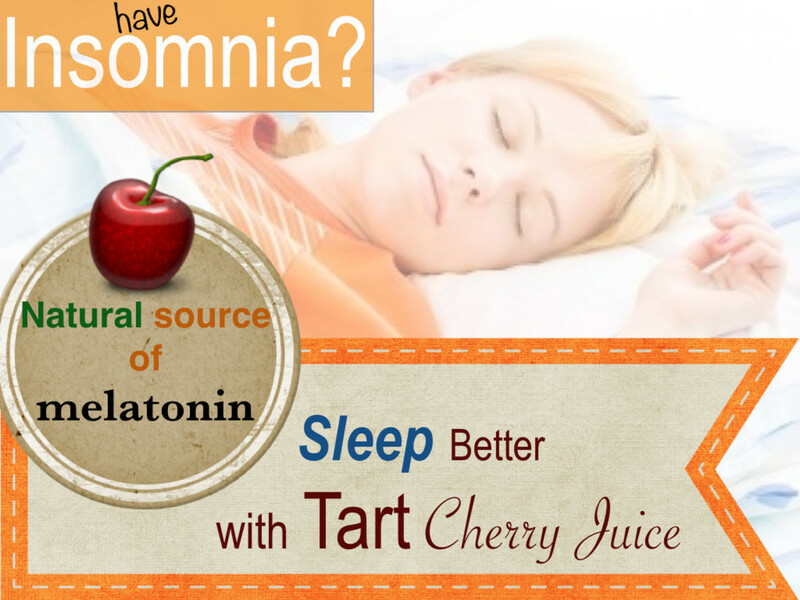 It is interesting that you could connect your consumption of tart cherry juice to your relief from insomnia. Thanks for reading and commenting. breathe2travel, oh, I'm so glad you saw it on your feed. Yes, tart cherry juice has amazing properties. You've left me a wonderful compliment and it encourages me to continue my research and writing. Thanks for reading, commenting and sharing. DaveMidtown's comment appeared on my wall and piqued my interest. What an amazing resource for antioxidants and health benefits. I will visit my local health store to see if they inventory tart cherry juice. I, too, am interested in researching health information - although not a doctor or an expert. And although you are not a doc or expert, I think that finds your testimonial even more valid amongst "laypeople" such as I. :) Voting up, useful & interesting. I plan to share on FB as well. I've been drinking tart cherry juice for the past two years. I buy Knudsen's organic Simply Tart Cherry Juice (100% strength) at my local supermarket, in the organic foods section, 32 oz. for $5.99. I can't drink it full strength, but dilute it. I mix half of the juice in enough water to make a gallon and add a few drops of pure stevia (liquid Sweet Leaf...NOT Truvia!) I knew about the antioxidants, but not that it contained a natural melatonin. I suppose that's why my insomnia improved. Cherries for insomnia, I will have to give it a go. Thanks for the tip. Hi htodd! Yes they are wonderful. Glad you came by - it was nice to see you have stopped by to read and comment. I really appreciate it. Cherries are my favorite, never thought of having them as juice before. I love cherries-- sour and sweet-- and will certainly take this recommendation to drink tart cherry juice to heart. Well researched and structured hub, and luscious photos! Voted you up, interesting, useful and tweeted! rahul324, Thank you very much and you are quite welcome. As always, I'm glad to share my research. Hi Olive! Amazing hub here! Information I was unaware of! Thank you for sharing such info! 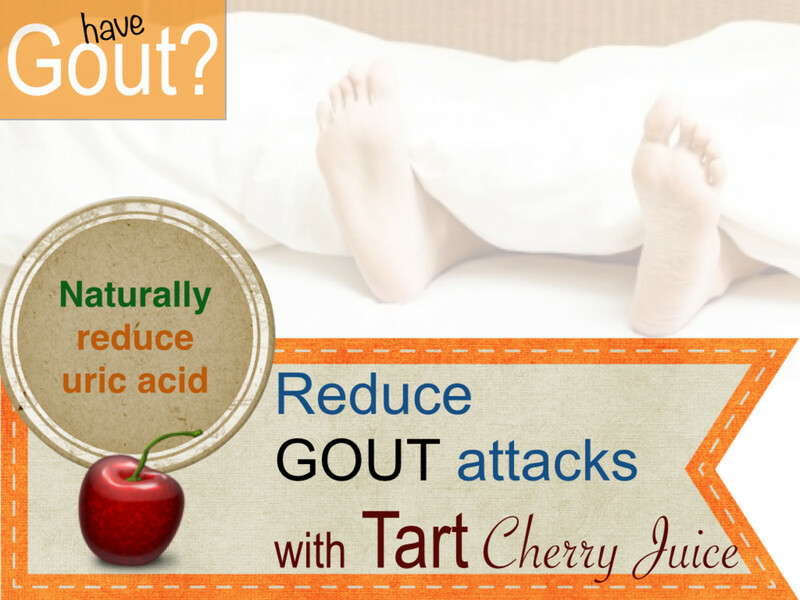 When my dad was alive he had an incidence of gout and I told him about the cherry juice from health food stores. He had great relief! Am SHARING this with others. Happy to get the word out about this natural method of gout pain relief. Also up and useful votes. Tart cherry juice certainly appears to have many benefits. Thanks for your thorough research and information on studies conducted on the benefits related to insomnia. I have to admit that I too have difficult sleeping. Perhaps its all the late night studying. However, due to unpredictable time schedule; I know have trouble sleeping when I do have time. I will definitely try this out. Thanks for an awesome hub. On a side note, Dr Oz, is one of the best doctors out there. People respect his opinions and advice from within the medical community as well. Doctors sometimes prescribe metonin to help patients with sleeping diffuclties as well. Voted up. And awesome. B. Leekley - You lucky man - FRESH cherries right off of the tree - yum! Thanks for your votes and comment. Thanks, I never knew cherry juice is effective at reducing pain and inflammation. Nice hub! Up, useful, interesting, and sharing. I'm convinced and will buy some as soon as I can. I live in Michigan, which is cherry country, so in season I'll be able to eat fresh whole cherries. tillsontitan - It is hard to deny the benefits. 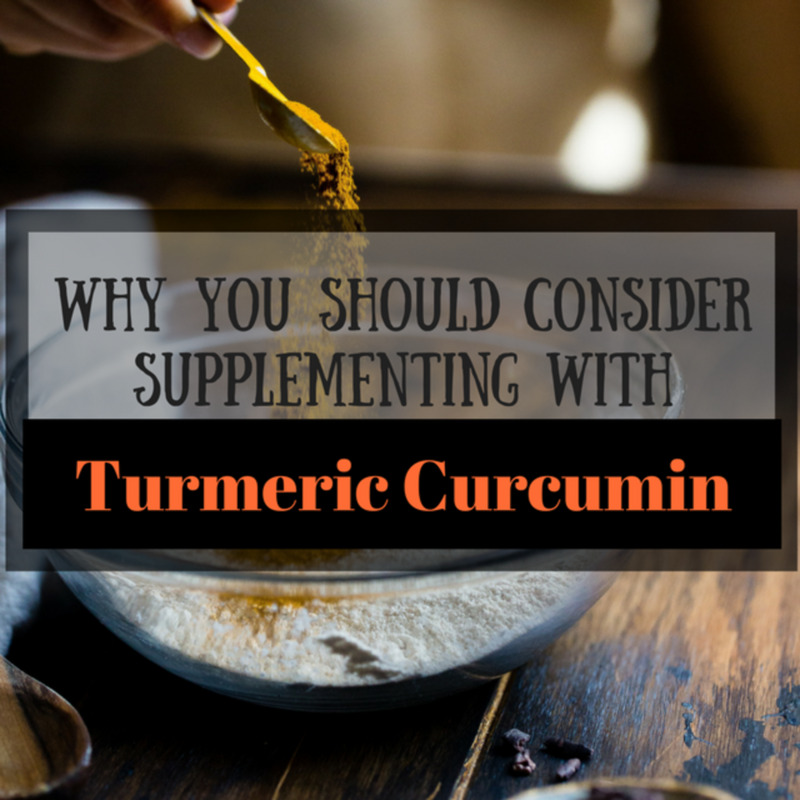 Even without the ailments it is certainly full of wonderful vitamins and minerals. Cheers! After reading this I have to go get some tart cherry juice! Insomnia, joint pain and weight loss! What more could I ask for. Nothing is perfect but it's so nice to try something that is natural. Thanks for this great hub missolive! Voted up, interesting and useful. robie2 - Hi! I'm glad you liked all the info. I think you will be pleasantly surprised by the effects. Frieda Babbley - Thank you! I hope you find the results you and/or your referral are looking for. Thank you for reading, commenting and voting. Sharing too! ytsenoh - thank you! I'm glad you have found this information informative. I'm glad to have done he research. Marcy Goodfleisch - I have to agree with you. I do not think it is just a placebo effect. I literally feel better when I drink my juice. Thank you for the votes, reading and commenting. nina64 - yes, cherries are seasonal and not always available. I'm glad I can get the juice though. Aren't the benefits surprising? Great stuff! Thank you for the votes! Fantastic hub. I'm a great lover of real cherry juice (and cherries of course). I didn't know about the helping to get you to sleep benefit though. I think I know just the person to pass this onto. Thumbs-up, useful, interesting, awesome and shared! great to have all this information about the benefits of tart cherry juice. I'll definitely put cherry juice on my grocery list. Thanks for this great overview of the benefits of tart cherry. 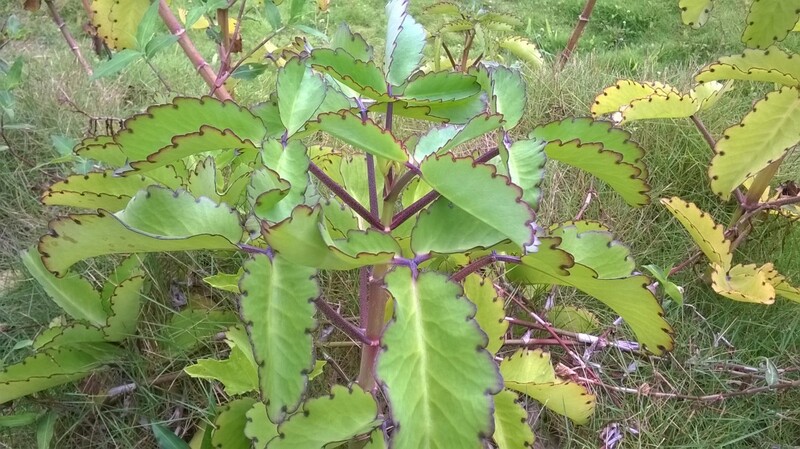 I've used it for joint pain in my hands for sometime now but am glad to read more about this wonder food. Would like to link this hub to mine on insomnia's relationship to artificial sweeteners, if you have no objection. Hello MissOlive, I'm a big fan of cherries!!!!!! It's too bad that they only stay in season for such a short period of time. What a wonderful hub on one of my favorite summer fruits!! I never knew that cherries had all these good health benefits. All the more reason for me to enjoy eating cherries!!!!! Voted up!!!!!! I love the taste of tart cherries! It's also one of those foods that make you feel like you're doing something good for body. Thanks for the great information here! Voted up, useful and interesting. MissOlive, thumbs up on this hub which is so useful and full of practical information. I'm going to have to test this out because I have an insomnia issue, so what you share is interesting on the effects the juice can carry. Good job on all the research. Thank you! stessily - Isn't it the most beautiful burgundy red you have ever seen? Antioxidants are so important. I'm glad you drink this wonderful juice. Happy to share the info with you - cheers! missolive, Tart cherry juice is one of my drinks of choice. I love the taste, I love the look, and I love what it does for me. As a fan of tart cherry juice, I greatly appreciate your highlighting it in your excellent series on benefits of healthy eating. I find antioxidants to be among the tastiest of foods. Never heard about Tart Cherries, but they do look Yummy! Would definitely love to munch on some of them. Poetic Fool - Hi there! I am very glad you came upon this hub. Aren't those middle of the night bouts of insomnia frustrating? I feel you. I do hope you will give tart cherry juice a try and that you attain the benefits that I did. If anything, it is certainly good for you. As you can see by the hub, this juice is certainly tops when it comes to antioxidants. Thanks for coming by. missolive, great hub! I'd never heard of tart cherry juice before much less it's health benefits. I have the same problem with insomnia as you, I can fall asleep but have trouble staying asleep. I'm curious to give this a try, if only for that reason. Of course, I'm interested in the anti-oxidant benefits as well. Very thorough and well-researched hub. Kudos to you! barbergirl28 - Stacy, this just might be the right product for you. The clinical studies show how tart cherry juice helps with muscle recovery and fatigue. I don't drink it as often as I should, but when I do have it I usually drink 1/2 a cup in the morning and another 1/2 cup at night. I do hope you are able to find some and that it is not too pricey. I have actually heard of this before. My husband has bad knees and my cousin suggested that he try this. If I remember correctly it was just a couple of Tablespoons each day to do the trick. However, it is really difficult to find this stuff. But, after all of this information that you have layed out... I think I am going to have to search it out and get it again. With my intense workouts, I definitely could use something for recovery of my muscles. Great hub! Great information! Jeannieinabottle - Hi! I wish we had a Trader Joe's in our area. We have a whole food's store called Sprouts (Formally Sun Harvest) That is where I buy my juice from. Regardless of the research I have done and have posted here; tart cherry juice definitely helps me just feel better. I'm glad you feel inspired to give it a try. This is really fascinating! I am going to try this myself. I've seen it at Trader Joe's, but never realized all the health benefits. Thanks for the advice! thank you adrienne2!! Very glad to see you have come by to read my hub. Insomnia is a bear - you're right! Thank you for your votes, comments and support. Just Ask Susan - It's great stuff Susan. It is as the name states 'tart'. I usually dilute it or add it to my smoothies. I know I noticed a positive difference when I started drinking it. In fact I should probably buy some more for the holidays. Hi Missolive, I had heard about the benefits of tart cherry juice. I have found your article to be impressive, and glad to hear the juice is helping you with your insomania. Having trouble with sleeping can be a real bear, believe I know about that one. Have voted up and interesting. Nothing beats a cherry on top of a parfait. Cherries finish off the perfect topping to many desserts. It gives it thst wow factor. Try cherry on a tequila. 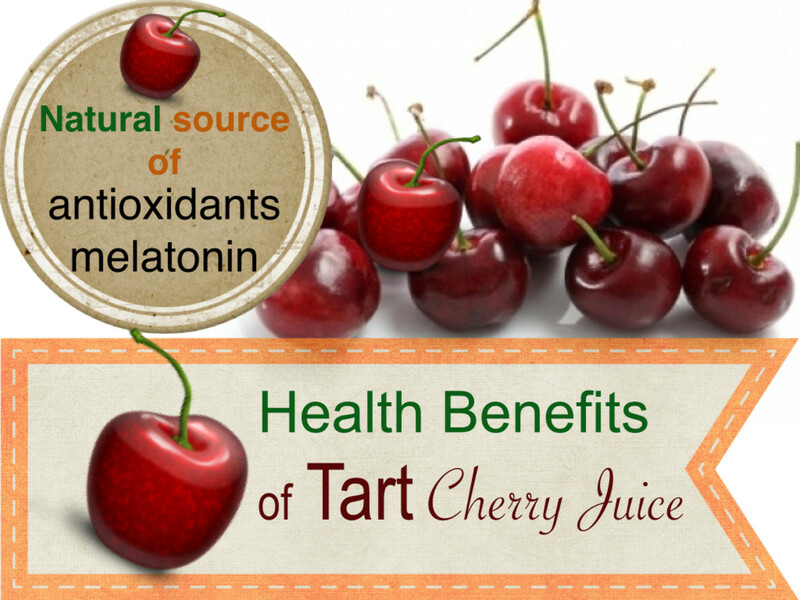 My entire family could benefit from tart cherry juice from insomnia to pain and inflammation. So glad that I saw this hub by you. Will defiantly give this juice a try. Thank you. wanzulfikri - thank you. Tart cherry juice does have quite a few benefits. I was glad to add the clinical studies (links) as well. Thank you for reading and commenting. Another great hub about the benefits of a certain food. Although I am not a fan of cherry but your hub clearly defines its benefits. Thank you everyone for your great comments and support! Rajan - there are a variety of cherry trees as well as harvesting methods. I believe it is the montmerency that is commonly used for tart cherry juice. I need to investigate further. GREAT question. homestead - give the juice a try - couldn't hurt! WD - Fresh cherries sound great! My mom buys them when in season - great treat and I imagine they would have the same benefits. Tart cherry juice helped me feel sooooo much better when I started drinking it. I felt balanced and well. I decide to try 1/2 cup in the morning and evening and I literally felt my sleeping patterns regulate. I have not bought any in a while - need to stock up. Hi Marisa,this is a great hubarticle on tart cherry juice. I wonder if cherries and tart cherries are the same? Enlighten me please? So much of information and corresponding references. You have given me a lesson in this. Voted up and pressed all the buttons except the funny one. We don't drink cherry juice, but we eat a lot of fresh cherries. We are pretty healthy. If you eat nothing but cherries for a couple of days, you will feel the difference, The same is true with water melon and other seasonal fruits. I believe that it was designed to be so. I am starting to have more joint pains, and have struggled with insomnia forever, so I will have to check into this. Thanks for the information. Good tips missolive! Go for healthy diet! Hi Sinea - What a great testimony. Tart Cherry Juice has so many benefits it is certainly worth adding to our grocery list. I try to drink about 1/2 a cup a day - whenever I buy it. Great addition to smoothies as well. I have two friends who both have gout. They definitely agree that cherry juice improves how they feel and lessens the pain. I like cherry juice. I used take down the cherries from the trees back in my country. I didn't know it was so beneficial. Good information. I don't mean to make you go to a lot of trouble. But I will check back in case you find anything out. Hi ktrapp - great question! MissOlive, I read and commented on this a week or so ago and was very interested in the idea that the cherry juice may help some people with insomnia. I was telling my husband about this and he said the only problems are that cherries are one fruit with the highest amount of pesticides. Do you know if the organic juice that I see is available is pesticide-free? Thank you kindly MsDora. Glad you stopped by. Thanks missolive, for such valuable information. I try to follow Dr. Oz, but he usually doesn't get my full attention. Your information is good and I will share it. Thanks again. ktrapp - I went through a bout of insomnia this summer and tried 1/2 cup in the morning and 1/2 cup in the evening - it really helped me. Regardless, the health benefits are amazing. My son struggles with insomnia. I am definitely going to have to get him some so he can see if drinking 1/2 up before bed helps. Thanks so much. Great data on a very interesting topic. Ironically, someone brought the benefits of tart cherry juice to my attention just yesterday. Finding this hub was very timely. My wife is very interested and definitely will be trying it. Voted up, useful, and interesting. Glad to hear your relative is finding relief from gout. Isn't it nice to find something as natural as tart cherry juice for these things? I'm glad I did the research - I'm even adding it to my morning smoothies now - YUM! Glad to learn of the insomnia assist by cherry juice. I did not know it had the melatonin. I do have a relative with gout who has recently started cherry juice, and he reports excellent relief very quickly from ingesting it. HI Missolive nice hub, full of information about the benefits of tart cherry juice. I like reading hubs that full of information that can add to my knowledge. And we all need fruits that high in antioxidant to fight free radical damage.